One of the toughest challenges faced by small businesses is the management of cash flow and how to efficiently be cash rich by not having too much idle cash. Inefficient management of cash flow leads to not having enough cash for daily and unforeseen expenses. There is a fine line between how much of the assets should be held in liquid form – cash, cash equivalents, deposits and negotiable instruments. All of these come under the umbrella of cash flow management. 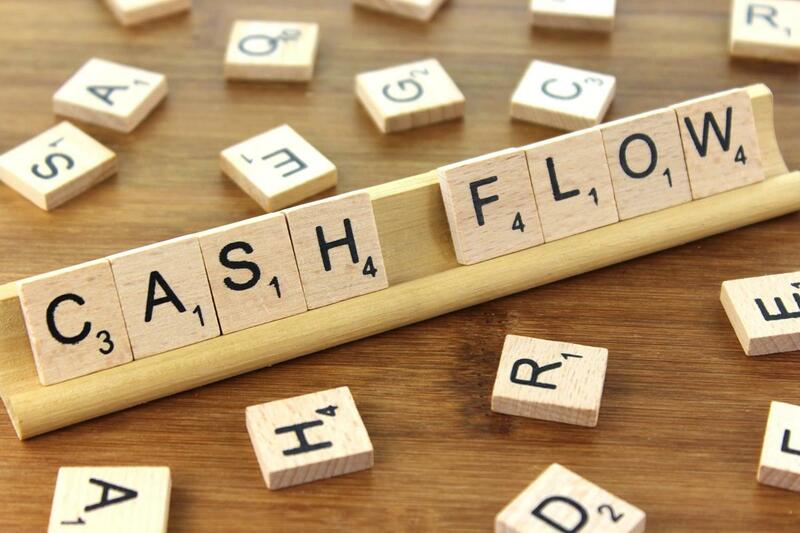 Cash flow is the total amount of money being transferred into and out of a business which affects the liquidity. A healthy cash flow helps you manage your business easily and can help forecast your finances. Focusing on better cash flow can help grow your business steadily. Take that extra step to analyze your cash flow and give time to studying what is going wrong and ways to improve the method for it. While this may sound unimportant, it is imperative to have a good set of numbers and accurate data in front of you before you study any business process. Whether you choose cloud accounting or traditional accounting, ensure your data is accurate the books of accounts aren’t cooked. Whilst also maintaining accurate accounts, it is important to update them on a timely basis and not after long periodic phases. ‘KYC’ These 3 letters will go a long way in your business. It is necessary to do a check on the people before you get into business with them. It’s a good idea to credit check customers in advance and continue to monitor their payment practices throughout your business relationship. If they’re a good purchaser but a bad payer you have to think about whether you want to continue dealing with them. The better the relationship you have with your supplier, the better you can maintain your cash flow. Building a strong supplier relationship will take time, but ensuring to pay your bills on time will put you in a better position when you need a flexible term. Keeping good relations with your suppliers will also give you better rates and payment options in the future. Cash and Inventory go hand in hand. Knowing how much to invest in inventory and how much cash to keep idle requires some skill and study. Every product on your shelves represents cash that could be employed in making more money for your business. Knowing when the sales are high – at the start of the month, if it is a seasonal product, during holidays and sale days – all these demographic factors will help you manage inventory better, in turn, help manage your cash flow better. Purchase the items only that you require and outsource the rest. Hire purchase and leasing can be used to fund a range of items these days, including new and used cars, light commercial and heavy goods vehicles, plant and machinery, office furniture and computer equipment. You should also take the time to review every other aspect of your supply chain to ensure you are receiving the best value. Giving your customers an incentive to pay early will ensure you receive your timely payments. Given an incentive, customers might prefer to pay sooner than later based on human psychology and how discounts work. Trade discounts typically give 1% – 2% off the total amount due if customers pay within a certain no. of days. By making a few changes in your business, your cash flow management can go a long way. Cash flow management is a very important aspect for the survival of the business and business cycle. Paying attention to cash flow management will streamline your business and let you concentrate on growing your business rather than worrying about cash and liquidity.